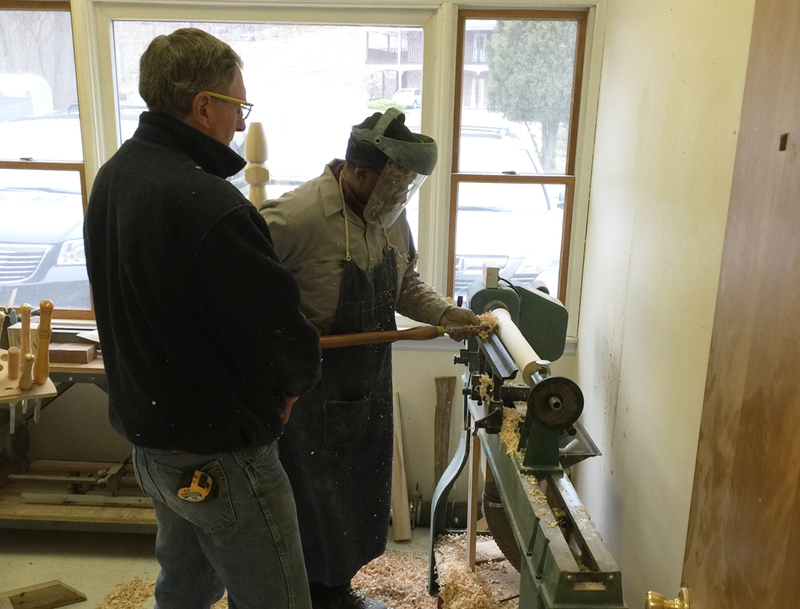 Our instructional classes give you the opportunity to choose to learn any form of woodworking, from using table saws to routers, to bowl turning, making jar spoons, and much more. Classes are one-on-one and by appointment only. Group classes are offered as well for those who want to learn with friends or family. The studio is fun, relaxed and friendly. Our goal is that our students enjoy their time while learning, as well as getting as much experience with the machines as possible. We always work with you to meet your scheduling needs. Gift certificates are also available. For everyone’s safety while in the studio, we ask that you don’t wear open-toed shoes or heels, no loose clothing or jewelry, and tie all long hair back. Safety goggles are provided and must be worn at all times, including over prescription glasses. Learn how to utilize the table saw to its fullest! First, we teach safety skills on the machine and then get down to business. Learn how to rip wood, cross cut, make tenons, dado’s and rabbets, and then make a picture frame with splines. 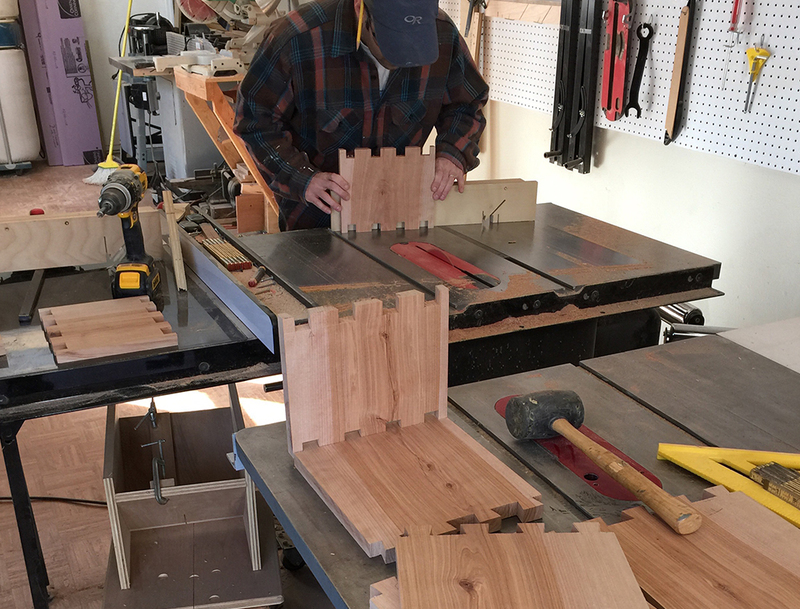 Learn how to utilize the band saw for your at-home projects! First, we always teach safety skills on the machine and then get down to business. 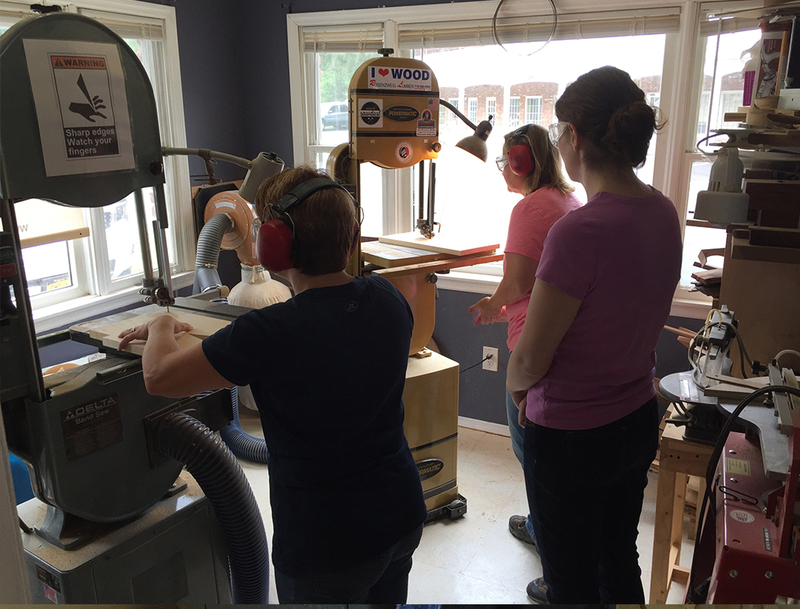 Learn re-sawing, cutting curves, and then make a band saw box. Learn the ins and outs of taking a block of wood and creating a beautiful bowl! You’ll learn to cut your blanks, mount them, and the proper use of the chisels. Sharpening of the chisels will also be covered. 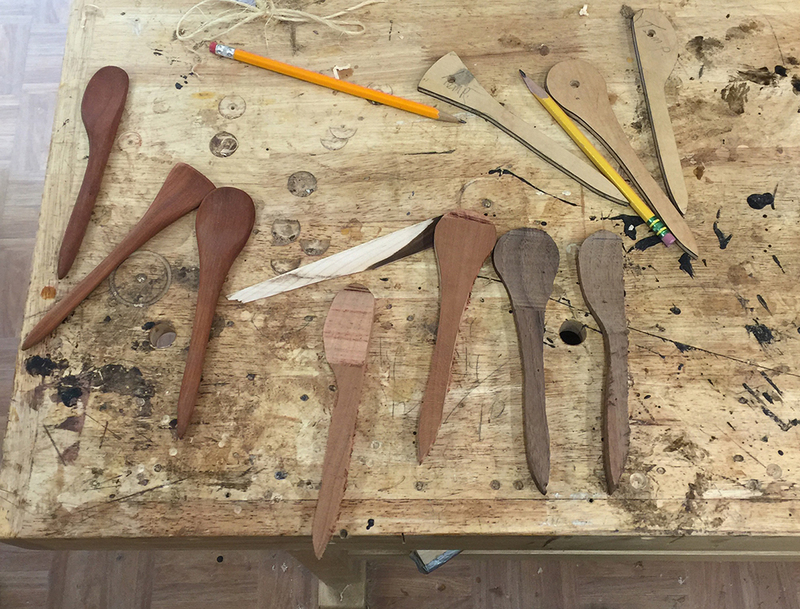 Learn how to make our three spoon set using both hand tools, the band saw and belt sander! These spoons are perfect for getting every last bit of food out of cups, bottles, etc. 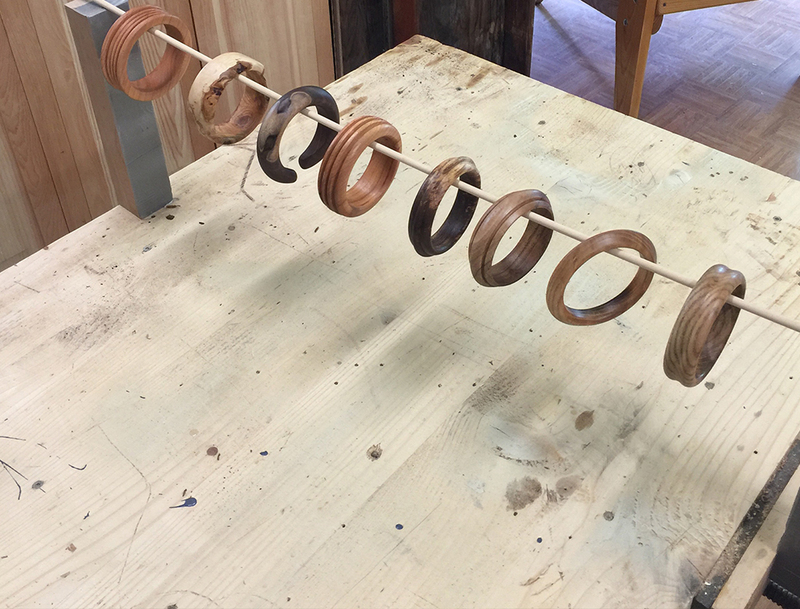 Learn how to make a dazzling set of wooden bangle bracelets! 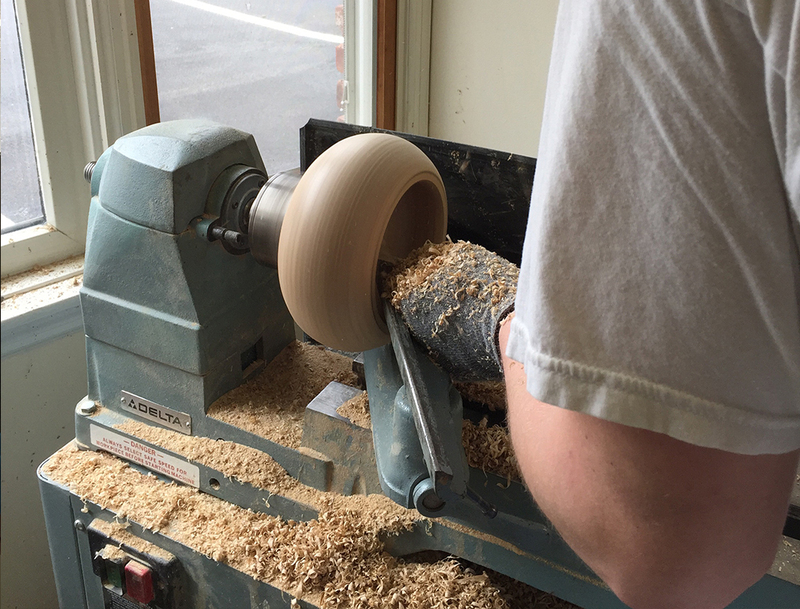 Go through our process from layout, to band saw, to the lathe, right to your wrist. Bring a friend and make a special custom gift for your wife, girlfriend or mom. Learn to create stunning and perfect dovetails! 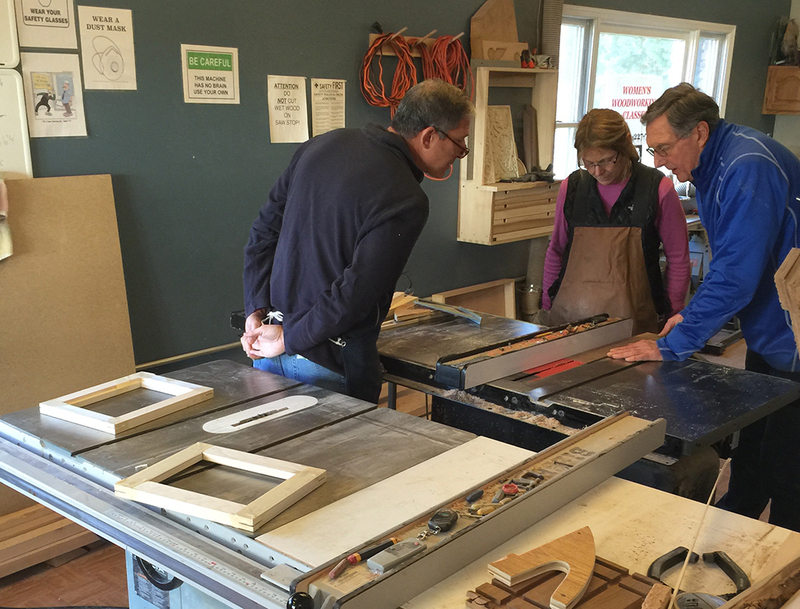 We’ll teach you the proper layout and execution using the table saw. 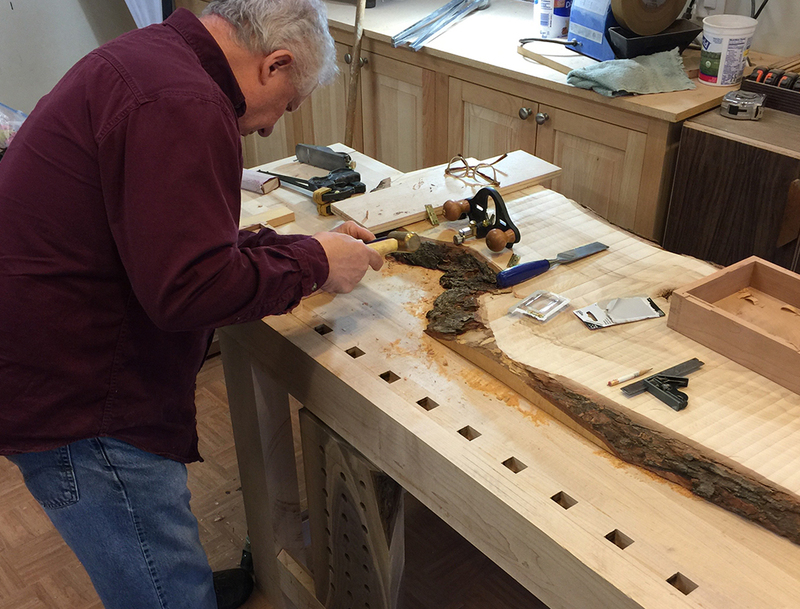 Learn valuable information on the techniques for laying out mortise and tenons. We’ll teach you how to achieve this by hand using hand tools. Once you’re comfortable, we move to using the mortising machine to see how it’s done with ease and precision. Break a spindle on your staircase? Or want to learn to turn legs for a table or chair? Here you’ll learn the proper setup of material, use of chisels, as well as sharpening. We’ll teach you to create beautiful shapes out of a square block of wood!